Summer's right around the corner for us! Just about three weeks and we'll be in full summer mode. 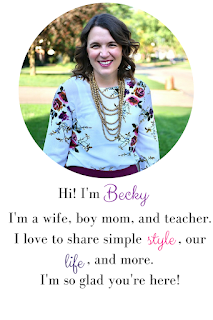 Though I know I could never be a full-time stay at home mom, being a teacher, I kind of get the best of both worlds with our long summer vacation. 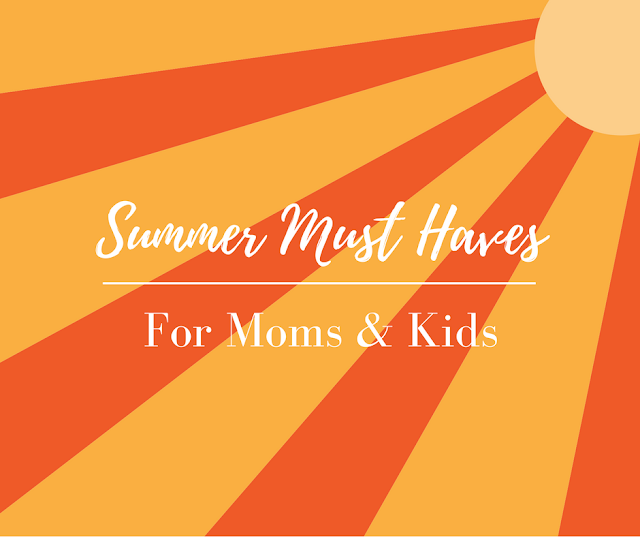 Today I'm sharing a few things that help make summers great for the kids and me! I may receive a commission (with no extra cost added to you) if you make a purchase from the links in this post. Thanks for supporting the time and love I put into this space. Please see my disclosure for more details. 1. 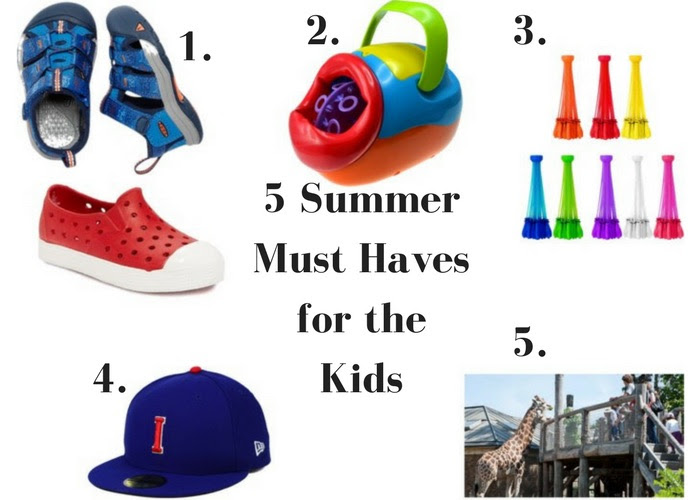 Summer Shoes for the Kiddos - We don't wear socks a lot in the summer, but I'm all about protecting those toes! We love Keens and Natives, but I found some Native knock-offs at Old Navy and Gap this year, and I'm loving them just as much. They're easy for the boys to take off and on and they can be washed so easily! 2. Bubble Machine - We've been through a couple bubble machines, but we got this one for Wesley's birthday and it is so much better than others that we've had. It has the ability to be plugged in or use batteries and it's easy to fill. The boys love it! 3. Bunch O Balloons - I know, I know, I'm talking about these again, but seriously. My boys love water balloons! I hate tying balloons. These fill up in just a minute or two and are great for some back yard fun! I picked up a mega pack at Costco, so we're ready! 4. Baseball Tickets - If you have a local minor league team, tickets are usually pretty cheap! I was able to pick up a 10 pack on Groupon for $30! At $3/ ticket, I will have no problem heading to a game for a few innings, partaking in some tasty food, and heading home! 5. Zoo Membership - Our zoo membership pays for itself within just a couple visits, PLUS we get discounted admission to zoos in other cities! 1. Cute Shoes for Me - I shared a post last month with a round up of some great budget shoes for spring. Really, you deserve a cute new pair of shoes. You can wear them every day if you want, and no one will judge! 2. Cute Suit for Me - I had a nice one-piece suit, but the top was not the best. I felt like I was going to fall out or it was going to slip down because the straps were not sturdy. This summer, I'm going with a peplum tankini. I ordered one similar to this from Target and I really like the thick straps. I know it will be great for running around with the boys. 3. 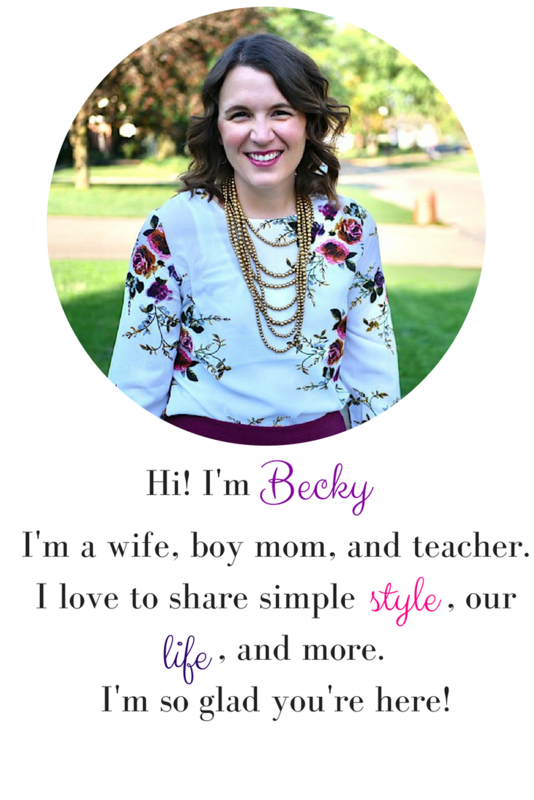 LipSense - I've been using LipSense for the past 9 months, and I'm realizing what a difference a little lip color can do for my face. Not only is it nice to have a pop of color, but LipSense is perfect for summer because it has a mechanical shield that protects your lips from the sun and its waterproof! 4. Dry Shampoo - I've been working on going 2-3 days between hair washings, and this dry shampoo has been a huge help (and it's cherry scented!). I would love to stretch it out to 4 days in the summer. 5. Comfy and Cute Shorts - I used to be anti-shorts. I am not really sure why, but now I'm all for it. I finally tried the J. Crew Factory Boardwalk Pull On Shorts and they are amazing! So comfy, elastic waist, cute colors, and pockets! They run true to size and they're often on sale! I got the 3" length, but they also come in 5". 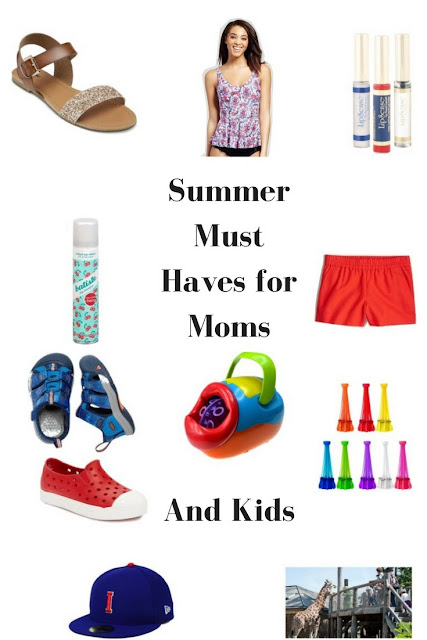 What are your must-haves for summer vacation? I'd love to hear! 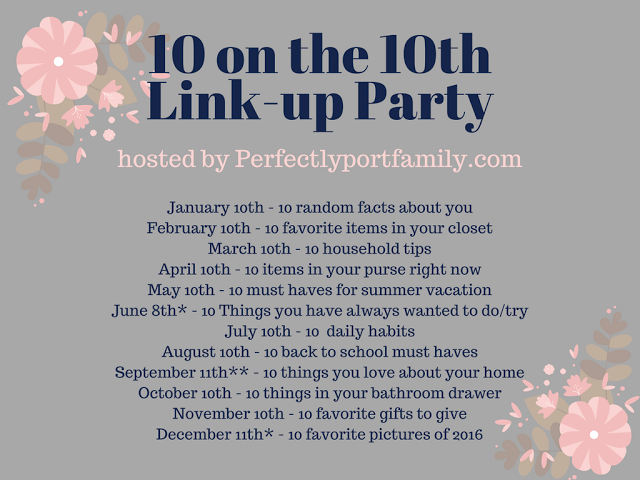 I'm linking up with Erin from Perfectly Port Family for 10 on the 10th!